Since the fall of 2008 I've been a certified partner of Infusionsoft. 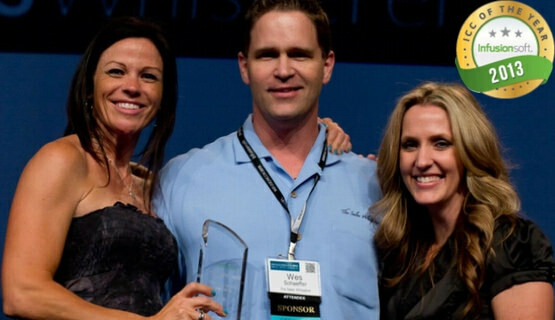 In 2012 I literally wrote the book on Infusionsoft and was named their Partner of the Year in 2013. However, in 2014 I began exploring other CRMs and inbound marketing platforms so I could provide the best help possible to my clients. In September 2014 I purchased HubSpot and joined their certified partner program. In October 2014, I became certified in Ontraport. Great, Wes. What does that have to do with the price of sweet tea with hush puppies in Louisiana?" What that means for you is that I have experience in all of these platforms and as a partner with them all no vested interest in which software you choose. My goal is to help you make an informed decision with the hope that you will allow me to help you place your order and get started with whichever tool you use. 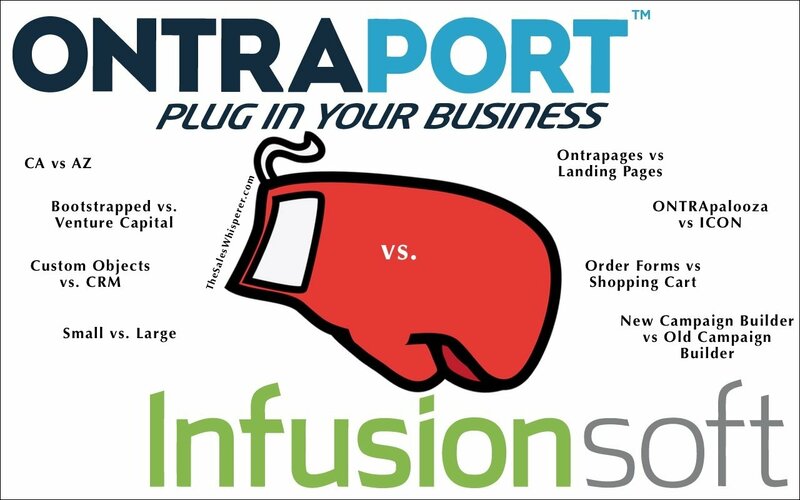 So let's dive in and review Ontraport vs Infusionsoft here in 2019. With both platforms doing many of the same features—contact management, email marketing, ecommerce—and both priced nearly the same—the real differences can be hard to discern...but the Air Force pounded "attention to detail" into my head so nuance is my specialty. Stay tuned for additional updates and feature comparisons moving forward. This may sound like a weird place to start, but when you are choosing an all-in-one marketing automation / CRM / inbound marketing platform to automate the majority of your business you better like the people you are about to give hundreds of dollars a month to for many years to come. I can speak from personal experience that the culture and desire at both Ontraport and Infusionsoft is to help business owners grow and succeed, but their approaches are different. While Infusionsoft has gone the venture funding route and has raised well over $109 million to grow, Ontraport is totally boot-strapped. There are pros and cons to both. With the VC approach you can grow faster, but fast growth is not synonymous with quality. Sure, Infusionsoft had ramped up to nearly 800 employees (back in 03/22/16) and their sales were through the roof, they slowed down their pace of innovation and allowed the competition catch up between 2013 to 2016. In fact, many "old timers" in the partner community have left the ecosystem because the changes have just been too chaotic. At ICON17* Infusionsoft continued demonstrating their next generation platform, but admitted it wouldn't be fully released until late in 2017 and as of 12/18 there is the New Infusionsoft that is actually pretty good but pricing is up in the air and the development roadmap is still sketchy. *In December 2017 Infusionsoft announced the cancellation of all future ICONs to focus on product enhancement and improvement. While some took that announcement as disastrous, I applaud it. ICON was no good since it was moved to the Phoenix Convention Center in 2014 and it cost a lot of time, money, and energy so kudos to Infusionsoft for making the hard right choice. While the new features like the responsive landing page builder (18 months behind Ontraport's Ontrapages) and the Wordpress plugin for making opt-in forms quickly are nice, they were overdue, needed, and really only brought Infusionsoft back to even with Ontraport in these areas. Ontraport, on the other hand, has around 115 employees and has always been more cautious about their growth since they fund it from their revenue. Having spent time with the CEO and founder of Ontraport, Landon Ray, I can say he has a lot in common with Clate Mask, the CEO of Infusionsoft. Both are about the same age (mid-40s) and have strong entrepreneurial drives. One big difference, though, is that while Clate Mask has been with Infusionsoft for a while, he is not a founder of the company. He was brought in early on by co-founder and Senior VP of Product Strategy, Scott Martineau, to help them grow, whereas Landon Ray is the one that started piecing together the components that became Ontraport. While it's not a huge difference, it is a difference. Ontraport is Landon Ray's baby and he is steering that company. Infusionsoft is much bigger and is more heavily influenced by boards and investors. Back in 2014 I rated Ontraport vs Infusionsoft as a tie on Culture & Personality. However, after seeing how things have evolved since 2014 I think Ontraport gets the nod on Culture & Personality. Ontraport has that energetic, underdog, eye-of-the-tiger feel, whereas Infusionsoft seems a bit punch drunk as of late, and I get it. While Infusionsoft is still a vibrant company with a good story and software that helps entrepreneurs, they're no longer the high-flying darling they once were. They're more the incumbent that got complacent and now they're reorganizing and trying to rediscover the passion and energy they once had. I've also participated in most of the Infusionsoft Implementation Accelerations, which are being sold off to a third party, their Customer Success Tours, and more. Since becoming certified in Ontraport in 2014 and having access to their sandbox (to play around and test Ontraport 5) and having attended their annual Ontrapalooza the last couple of years and am working more closely with them on similar client launches, I can say that Ontraport is an offering entrepreneurs, speakers, and coaches must look at for their sales and marketing automation platform. Choosing the self-funded path I think initially created a "rougher" platform for Ontraport that had more bugs (Oct 2014 when I got certified). However, as of March 23, 2016 "fewer than 5% of customers reports are actually system bugs," according to my friends in high places at Ontraport, and I can attest to the fact that the software is more stable as a trainer on their platform in 2018. Bugs will come with the territory when your goal is to automate so many aspects of your sales and marketing but both Infusionsoft and Ontraport have come a long way in this department. That is why—IMHO—Infusionsoft moved away from big releases every quarter starting in 2013. They made it a priority to stabilize the platform before rolling out fancy new features. But in my humble opinion, they need to bring to market even more new features in 2019 such as a faster platform (see HubSpot vs Infusionsoft Speed Test), a better e-commerce engine, a better affiliate module, and continued improvements on their new Landing Page builder, which, to be fair, is quite nice and a huge step in the right direction. Like all businesses, if Infusionsoft doesn't continue to innovate they run the risk of getting lapped by some able-bodied competition that continue to bubble up in the marketplace. Let's now jump into another (maybe) weird feature/functionality of this Ontraport vs Infusionsoft review, the CRM. for people selling digital products or membership sites or virtual content. Fact: Somewhere just north of 50% of new Infusionsoft clients for more than a year are traditional brick and mortar companies that are looking for/needing and/or leaving a traditional CRM tool. Despite the proliferation of the internet and smartphones and social media, people still like to speak with and actually meet with a sales person before they spend their hard-earned, highly-taxed money. Infusionsoft has a viable CRM component. This whole selling-online-in-your-pajamas-while-working-four-hours-a-week-while-virtual-assistants-in-far-away-lands-toil-for-seven-cents-an-hour-developing-killer-products-that-sell-out-faster-than-iPhone-releases-and-deposit-funds-in-offshore-bank-accounts story may sell some books and e-courses and make those authors rich, but it's not reality for the vast majority of entrepreneurs in the world today. When you sell products or services that cost a few bucks, you are usually involved in what's known as a "complex sale," which means it requires multiple conversations and/or meetings with more than one person. and generally keep an eye on these big deals that take more than a cute 5-minute Jing video posted on YouTube to close. 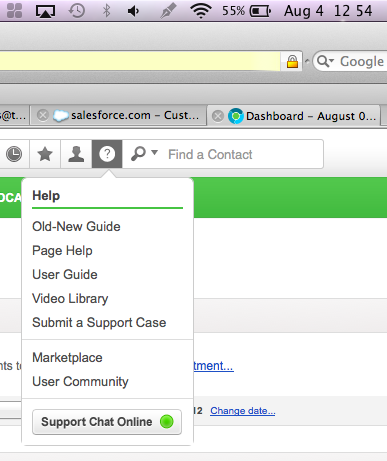 show communication history, Notes and more all from inside your Infusionsoft application. You can then run Reports on all of the above, including Custom Fields you created to personalize your workflow. Both Ontraport and Infusionsoft allow you to track Tasks and they provide Lead Scoring, which are great tools that are found in good CRMs. After using—and still consulting on—Salesforce.com since 2004, I have to say Infusionsoft has some room to improve the GUI and workflow and Reports of the CRM piece compared to Salesforce. But being a static CRM, a.k.a. "Rolodex in the sky" is ALL Salesforce does, so they better be good at it. However, since Salesforce does nothing else and since Ontraport doesn't offer a "traditional" CRM I'll give Infusionsoft a "relative A" and Ontraport an "A-." I say "relative" for Infusionsoft because anything compared to nothing is infinitely better. However, in absolute terms, if you ONLY wanted a CRM with no automation, triggers, etc., Infusionsoft's CRM component would get a "B-" or even a "C."
Custom Fields—limited to 100—and more. Also, the Infusionsoft CRM is Contact-centric whereas most CRMs are Company-centric. It's not a huge deal, but it is a different approach that may take some getting used to if you are selling into big companies and need to track multiple contacts at the same company. Along those same lines, adding Companies to the Infusionsoft CRM is "cludgy" (to use a technical term) and while you can add Contacts to a Company record to show who all works there, you cannot add a hierarchy or subsidiary companies like you can (in the much-more-expensive) Salesforce CRM. 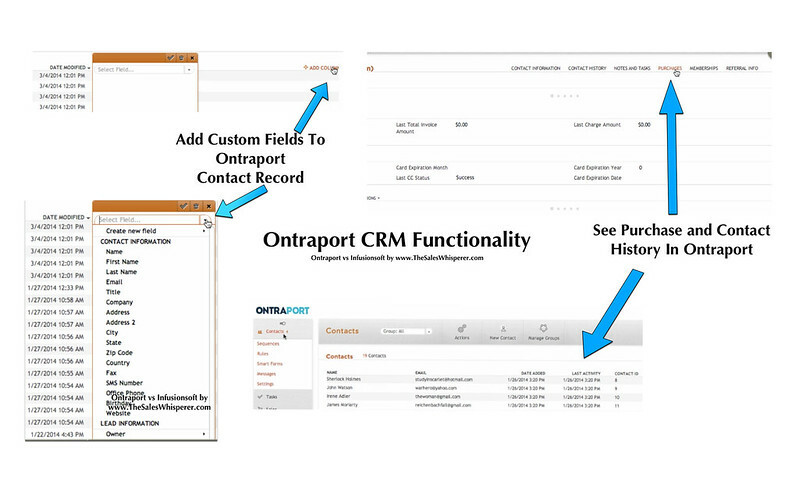 Conversely, Ontraport does allow you to collect and store interaction history and customizable views for your contacts like a CRM and now they offer Custom Objects, which is both good and bad, which is why I give Ontraport an A- for now on their CRM. Most entrepreneurs and sales people have some experience with a CRM before they look at Ontraport so they have some level of expectation about what a CRM is. So the Custom Objects Ontraport provides is POWERFUL, which is the upside. The downside is there is a bit of a learning curve. Not a lot, but when you have the ability to tweak and adjust and iterate and modify...it's easy to "major in the minors" and never get anything big done. That being said, as long as you are focused, begin with the end in mind, leverage the free support of Ontraport, and even retain pros like I have here at The Sales Whisperer®, you can leverage that power of Ontraport's Custom Objects and do great things with this newer CRM functionality they offer. While Infusionsoft does offer a shopping cart / storefront, it is somewhat basic and can only be configured for one storefront. While that doesn't sound like a big deal, if you are a typical entrepreneur and have your fingers in multiple pies and are selling multiple products and programs under various entities/brands, you would have to buy separate installations of Infusionsoft at $299 to $379/mo or just offer custom Order Forms with limited functionality to your customers. That being said, after using Infusionsoft since 2008, I've rarely sent people to my store front. 99% of the time I direct people to a Buy Now link that takes them right to the checkout page or a custom order form. And Infusionsoft readily admits that they are not providing you with an "Amazon-type" shopping cart. It's built for small businesses with limited products and categories and it is more than adequate for those types of businesses. So if you have a simple, online-only business where you sell a handful of standalone products as either a one-time sale and/or adding a subscription to it, Ontraport is a solid choice. However, if you are running any other type of business where you take orders over the phone and/or want to offer your customers more online buying options, you need to see if Infusionsoft's shopping cart will meet your needs, which it may or may not. That's why both Ontraport and Infusionsoft integrate with other shopping cart options such as WooCommerce, UltraCart, 1ShoppingCart, Magento, etc. We have done integrations with all of those shopping carts so please contact me to discuss which is best for you if you. For apples-to-apples Ecommerce abilities I'll give Infusionsoft an "A-" and give Ontraport a "B+" since Infusionsoft has a shopping cart and Ontraport does not. However, if you only sell a handful of products and aren't trying to become the next Amazon, Ontraport's order forms and Ecommerce is easy to setup, easy to use, is mobile responsive and for those reasons I'll give them an A+. Also, Infusionsoft has put virtually no effort into their Ecommerce platform for as long as I can remember but they have said some enhancements are due out in early 2018. I sure hope they meet that deadline. That is why I work with other developers to bring you the best recommendations for connectors, plugins, and API integrations to help you get the exact configuration you need to grow your business without growing staff. Multi-step, multi-media, targeted, relevant communication is the name of the game in today's crowded, electronic, mobile world. Email is no long enough. Social media is no longer enough. To win the hearts and minds of your prospects and customers today, you need to reach out and touch them in more ways than one. While Infusionsoft offers both fax and voice broadcasts (along with email, of course) from within their application, I think the voice broadcasts are a little too expensive (especially since their tagline is "We love small business) and I've never seen anyone do a fax broadcast. Sure, they offer direct mail integration, but what you do is create a letter inside the application and save it, then assign a Task to a staff member or 3rd party fulfillment house to print and mail them. Not exactly seamless. With Infusionsoft, you need to partner with a 3rd party SMS provided—at an additional charge for the connection and per text—and if you want to send direct mail more seamlessly requires another connection fee and the cost of the provider. That being said, I'd give Ontraport an A for multi-media integration and Infusionsoft a B-. Ontraport wins. Their app is more capable (as of 12/18) while Infusionsoft had made little if any progress on their mobile app in 2018. Both Infusionsoft and Ontraport provide their mobile apps free of charge. I'll give Ontraport an "A" and give Infusionsoft a "B-," which is down from a "B+" 11 months ago. While clicking around either platform is similar, the Infusionsoft Campaign Builder was a game-changer for them. In fact, if Infusionsoft had not deployed it back around 2012, they'd be a shadow of what they are today. The drag and drop functionality of the Campaign Builder is super-easy to use and it's where you'll spend the bulk of your time as you build out your marketing automation in Infusionsoft. Ontraport, before their 5.0 release in 2017, felt a lot like Infusionsoft's "Legacy" platform before the Campaign Builder was released. Now they both have an easy-to-use Campaign Builder to build out your marketing automation so I have to give Infusionsoft an A+ in this area and Ontraport now gets an A+ as well. Ontraport also offers chat support during the same hours as phone support. However, compared to fat cats like Salesforce and Microsoft Dynamics who charge extra for support, Infusionsoft and Ontraport are Rock Stars in the area of support. Having chat support is a dream for me. It sometimes takes a little longer during peak hours for Infusionsoft to answer the chat support but when I don't have a life-or-death question I can open the chat window, post my question, get the answer when they get to it and move on. Social media publishing and monitoring. Advanced "hooks" or tools to grow with social media. Neither Infusionsoft nor Ontraport provide any real tools for social media management like a Hootsuite or MeetEdgar or even HubSpot. Sure, both will let you share an email to a couple of social media profiles or embed a social share set of icons in landing page, but whoop-te-do. So when it comes to social media publishing and monitoring I'll give both Infusionsoft and Ontraport an N/A. However, when it comes to tapping in and pulling out information from the likes of Twitter and Facebook, now we have something to discuss. 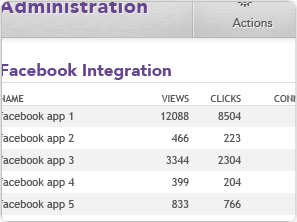 Ontraport is leading the way here with their Facebook custom audiences package. Insofar as native social media support and functionality goes I'm giving the nod to Ontraport on Social Media. In the second half of 2017 into early 2018 Infusionsoft has been making some radical changes to their pricing. Infusionsoft, on the other hand, continues to experiment and test both their pricing for various features such as Contacts, Emails, Users, E-Commerce, and Pipeline Automation, they've also toyed around with their setup fees, much to the chagrin of their certified partners. Since at least 2014 and into early 2019, Ontraport has much more generous limits for total contacts and monthly emails. If you need 25,000 Contacts, E-Commerce, and Sales Pipeline with Infusionsoft you'll pay $417/mo vs. $297 with Ontraport. While Infusionsoft gives you 3 users vs. 2 with Ontraport, Ontraport allows concurrent logins, which can be good or bad, but it does allow more people to login with fewer licenses. Infusionsoft: $0 to $249 to $999 to $1,999!!!! - My team of Infusionsoft Consultants and I spend more time helping new users create and/or document a sales and marketing process as we do showing them how to use the Infusionsoft software during the Kickstart. That type of marketing, sales, technology and business advice, support and assistance is not free and one does not develop it cheaply. (When you order Infusionsoft through me I add in a couple of extra hours of setup and support. Ontraport - $0 Setup - Includes two hours of private setup and support at no charge and you can buy a recommended additional two-hour block from Ontraport for $500. My Take on the Setup: If you go with Infusionsoft or Ontraport, invest your money in getting professional setup service and assistance—preferably with me. And I'm not being solely self-serving here. The type of help you get from my team and me is the type of help only entrepreneurs "in the wild" can provide. When you want to learn self-defense, do you want to learn from an instructor who has only taught at his gym for 10 years or from an MMA fighter who has won many competitions and maybe even won the title? Nothing beats the insight and wisdom of real-world experience. When you order Infusionsoft from me here you can actually save a little money off of Infusionsoft's normal Kickstart. When you use this link to order Ontraport, leverage the two free hours they provide then invest in a half-day block of time with us. Sure, it'll be a little more than what Ontraport charges but you're paying for wisdom and experience, not just point-and-click instructions, and that's worth your money and time. Who gets the nod on pricing? If money is tight and you don't need a full-blown shopping cart, Ontraport is great. If you need to send a lot of emails to a lot of Contacts, Ontraport is great. If you will use the direct mail, SMS, and Facebook custom audiences features that come standard with Ontraport, then you'll save money by going with Ontraport. To save money by running it on Wordpress on your own server, go with Ontraport. To have unlimited file storage, bandwidth, and members, spend more and go with Infusionsoft + CustomerHub. If you need a capable CRM right out of the box with limited customization and/or you need the features of a shopping cart, Infusionsoft is great. On Pricing overall, Ontraport is more affordable. Not only do they now have their Basic edition for smaller businesses and new entrepreneurs, they also have a non-profit pricing model as well as overall higher limits on emails, contacts and even users when you take into consideration that you can have multiple concurrent logins simultaneously in your Ontraport account. I pay not-a-little-bit of money for continuing education, mastermind memberships and private consulting for myself. Motivated, dedicated entrepreneurs know the power of leveraging the brains, experience and motivation of experts. That being said, not all Ontraport or Infusionsoft Consultants are created equally, so choose wisely how and from whom you purchase your application. My team consists of multiple Infusionsoft Certified Partners, a former Infusionsoft Success Coach that now does the initial training and setup for new clients, API developers for advanced integration and "supercharging" your Infusionsoft application, copywriters, website developers, graphic designers, and an assistant. When you order your Ontraport or Infusionsoft application through me you will have access to my entire team. I cover strategy and mapping your best course of action, Phly does the initial training to help you accelerate down the path we created together, Daniel & Bob step in for "Ninja tricks" and API coding if needed, Jeff's team will create new banner ads, logos and/or graphics as needed, and I'll assist with content, website, landing page and/or email content creation as part of your normal $999 to $2,999 setup. We can then support you on a retainer for as long as you desire to make sure you are growing as quickly as possible. We have been using databases and CRMs since the mid-90's. I've used Salesforce since 2004 and was certified at Dell to help them deploy it to their 3,000 North American sales staff in 2007 to 2008. I've used marketing automation software since 2006. So feel free to contact me if you still have questions on which to buy: Ontraport vs Infusionsoft, and I'll help you make the best decision for you and your business.